At Boulder Scientific, health and safety are top priorities. Our operations are designed to safeguard our employees, customers, community, and environment. Here’s a look at some of the awards and certifications we’ve received that reflect our efforts. In 2017, Boulder Scientific was recognized with the Circle of Safety Award from Pinnacol Assurance, Colorado’s leading workers compensation insurer. The company was honored for creating a culture of safety and a healthier, more productive workforce. Award categories included Gold, Silver, and Bronze with Gold being the highest level. Pinnacol insures over 56,000 companies and less than 1% of policyholders receive awards. There were 46 recipients. BSC received one of the six Gold awards. Companies have to demonstrate excellence in safety, risk control, claims, and financial management. The Circle of Safety Award was created with the understanding that exceptional risk management is the result of a circle of many people working together. From management to frontline employees, everyone plays a role in making a safe workplace. Circle of Safety winners embrace risk management and are committed to getting their employees home safe every day. ChemStewards® is an adaptable, industry-developed program designed to help the specialty chemicals industry meet its commitment to continuous improvement and to reduce the environmental footprint of its member facilities. The program, administered through the Society of Chemical Manufacturers and Affiliates, offers a three-tiered approach to participation, with key performance requirements for each tier. In 2018, Boulder Scientific Company’s Mead facility earned the ChemStewards® Tier III certification, the highest ranking that can be achieved. Tier III is a voluntary certification and requires applicants to go above and beyond the minimum for federal environmental, health, safety and security (EHS&S) compliance. 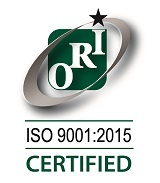 Boulder Scientific is certified to ISO 9001, a standard that sets out the requirements for a quality management system. It helps businesses and organizations be more efficient and improve customer satisfaction. The current ISO 9001 standard was designed to better emphasize leadership engagement, address organizational risks in a structured manner and place more focus on risk-based thinking. Boulder Scientific was certified by an independent body to ensure that it is implementing the ISO 9001 standard properly. Do you need help with finding a specific chemical? Fill out this form to get in touch.